Curve belt is made in similar way as the ladder belt. 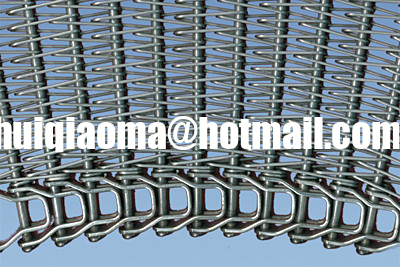 The wires are terminated with loop on the conveyor belt edge. 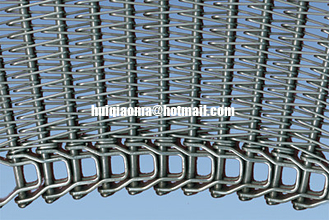 These radius conveyor belts are suitable for a curve conveyor. It can be produced with or without a wire mesh overlay. As a cooling belt in bakeries and confectionary industry, as a conveyor belt in chemical and engineering industry, tranportation of metal parts, , radius conveyor behind lotension belt systems, radius conveyor behind heat treatment tunneloven etc.